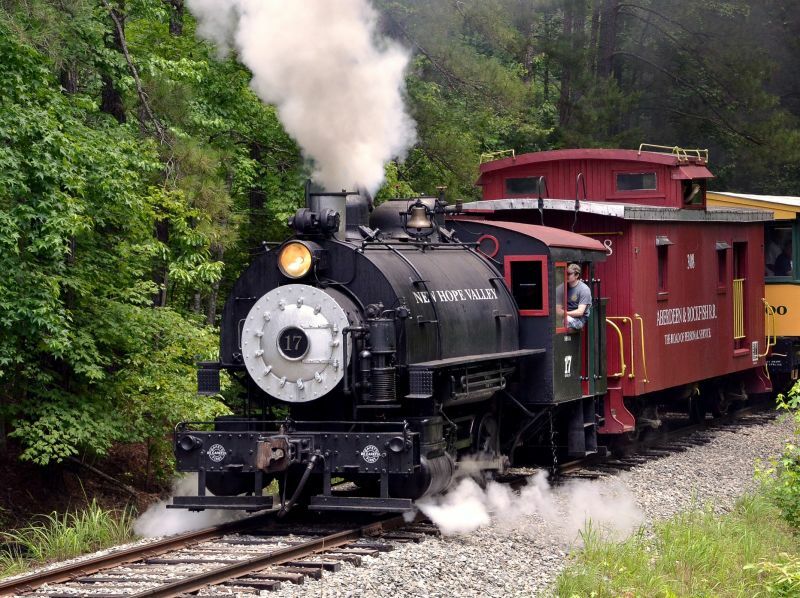 Have you ever wanted to ride on an old locomotive or steam engine as part of your family vacation? Well, you’re in luck, because here in New Hill, you can. 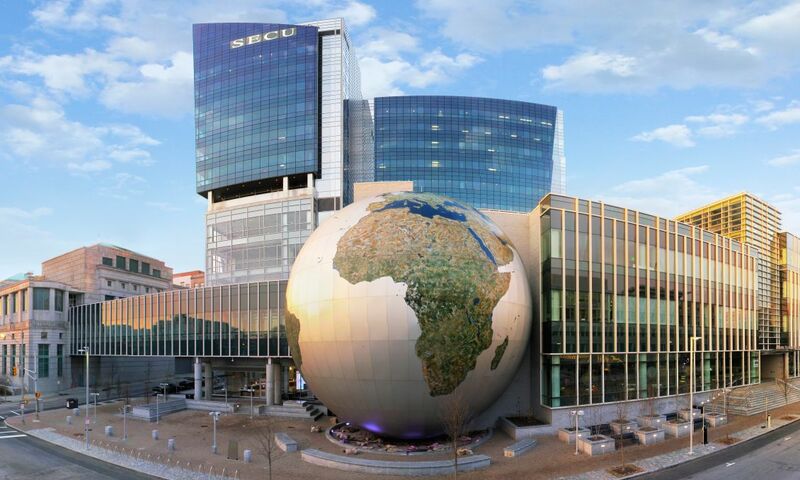 Before you can hop a rail car, hop in a regular car and head 30 minutes southwest of Raleigh to the very edge of Wake County. 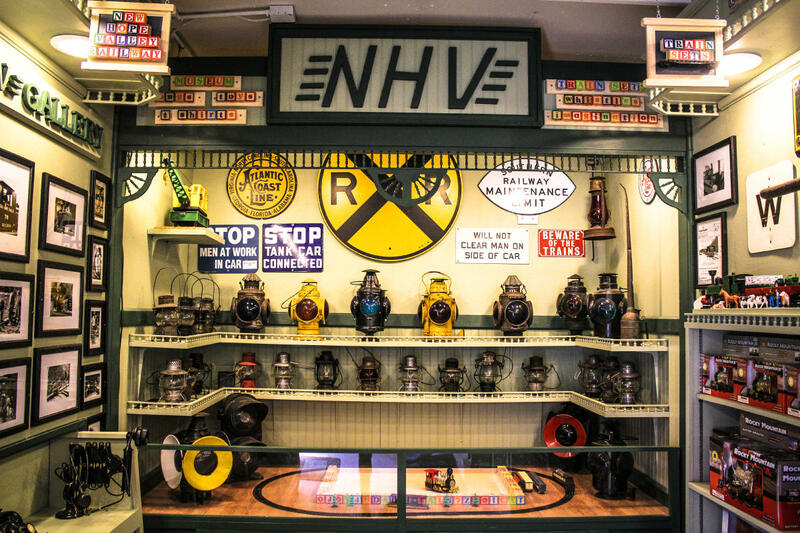 That’s where you’ll find the North Carolina Railway Museum and New Hope Valley Railway. 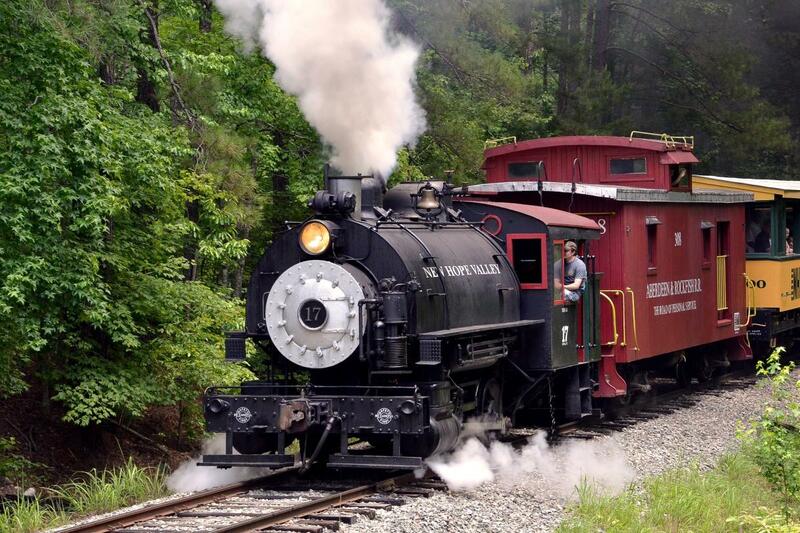 New Hope Valley Railway offers excursion rides on vintage equipment for train enthusiasts of all kinds. 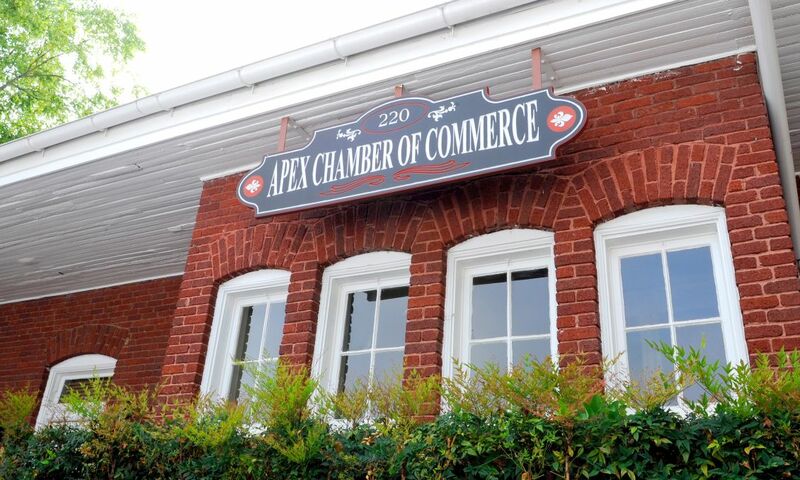 The organization was chartered in 1983 and is run 100 percent by volunteer staff. 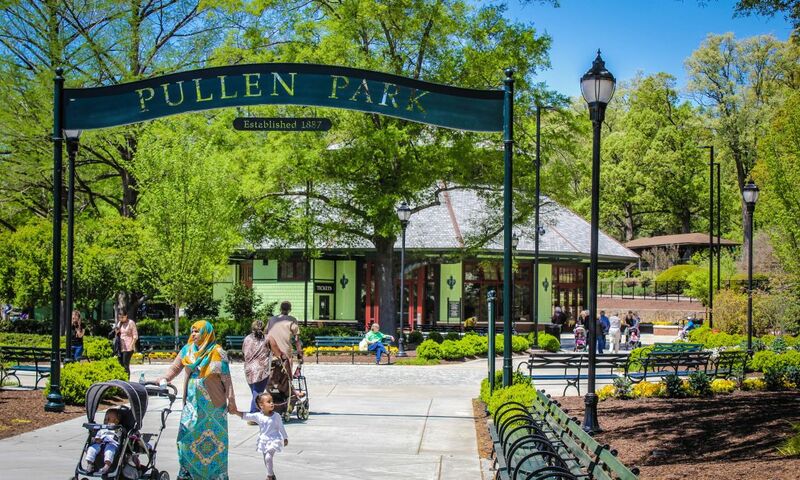 Featuring eight miles of track, train rides out and back usually last about an hour. In addition to regular train rides, the railway also hosts special event rides, birthday parties in their cabooses, weddings, groups and charters. You can even drive a diesel locomotive as part of their Operate-a-Loco program. 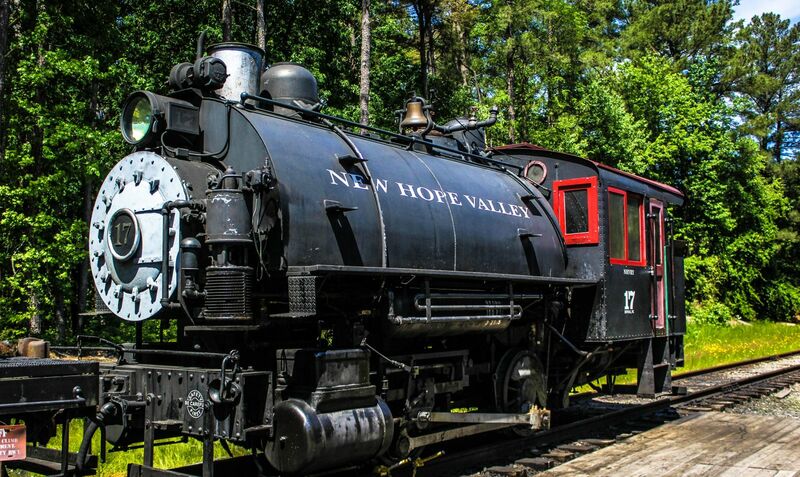 After enjoying your short ride or drive through the piney woods, hop on over to the North Carolina Railway Museum where antique train cars, artifacts and memorabilia are on display. 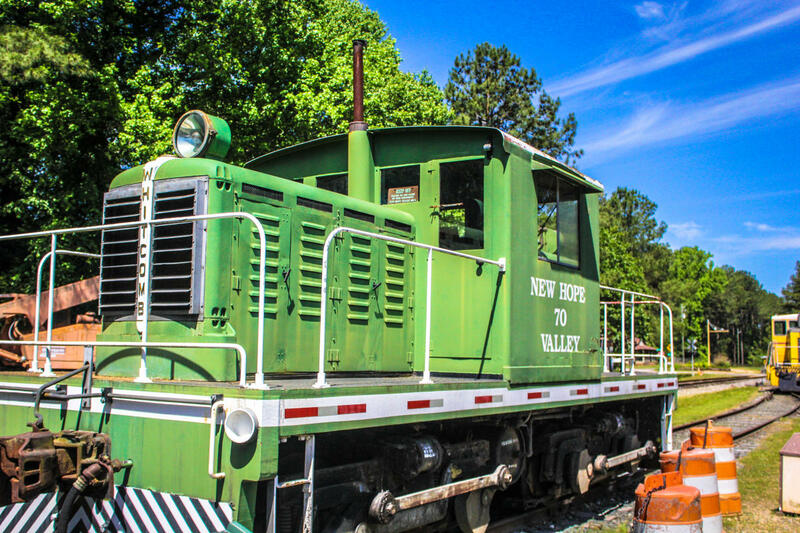 Marvel at locomotives like the Cliffside #110 that was built to run timber for a logging operation from 1927 to 1930, and later to serve as an attraction at amusement parks in South Carolina and Georgia. Climb into the driver’s seat of #399, a diesel locomotive that served in the military at Camp LeJeune, N.C., before coming to New Hope. You can even throw a party inside a caboose! Dress appropriately for the weather. The railroad operates open passenger cars with a covered roof, rain or shine. There are no bathrooms on the trains. Port-a-potties are in the railyard. Arrive early if you&apos;re riding a train. About 30 minutes before your train’s scheduled departure. Allow ample time for parking and boarding. Check in at the ticket office, even if you’ve purchased tickets online. Boarding/seating is first come, first served. Visit the gift shop. 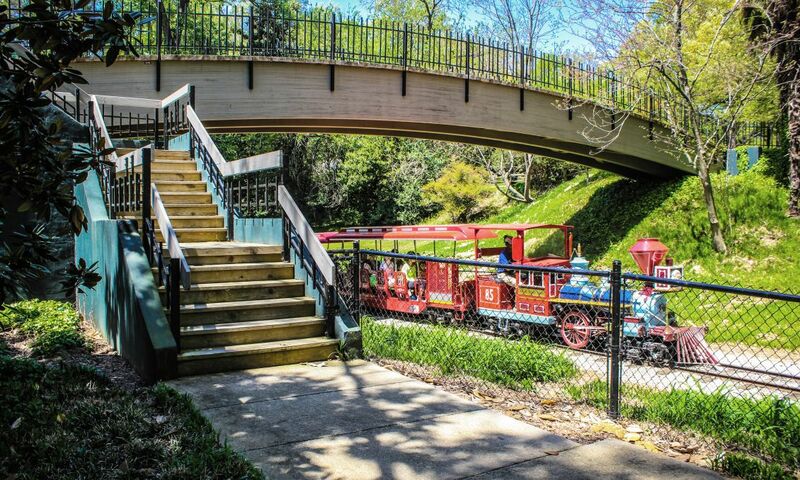 Located in a renovated rail car, it carries a variety of gifts for train lovers. Because the museum and railway are 100-percent volunteer run, check their website for schedules and times. The museum is open most Wednesdays and Saturdays and is always free. Get more details and a train ride schedule, here.